Home � Disney Trip Planning , Disney World Vacation Planning , Disney World Vacations , Travel Agent � Disney World Vacation: Use Travel Agent Or Book The Trip Yourself? Disney World Vacation: Use Travel Agent Or Book The Trip Yourself? The easy part of your vacation is deciding that you want to visit the Walt Disney World Resort. The toughest decisions involve wading through all of your options, choosing the best ones, and then booking your trip. Will it cost me more to use a travel agent? Are all travel agents alike? What happens if a better promotion comes along after I book my vacation? Do I lose flexibility if I use a travel agent? What if I'm not sure exactly what I am looking for? Am I better off just calling Disney directly and booking with them? Maybe you have found yourself asking these same questions. Let's go through them one by one to help you find the best answer for your vacation. The simple answer is that it should not. Travel agents are paid by commission by the travel providers and in this case Disney World. Most travel agents accept the commission paid by Disney as their only fees and do not charge their customers and extra or additional fees. Disney World also makes sure that you can receive any promotion that you book directly also if you book through a travel agent. Don't be afraid to ask your Travel Agent if they charge any extra fees for their services. If they do, make sure you understand what you are paying for. As I mentioned earlier, most travel agents do not charge extra fees for the Disney portion or trips, but may have fees for booking airline tickets, etc. Here the answer is a resounding NO. Like most fields, Travel Agents typically have specialties. There are so many different travel options, it is hard to be an expert with all of them. 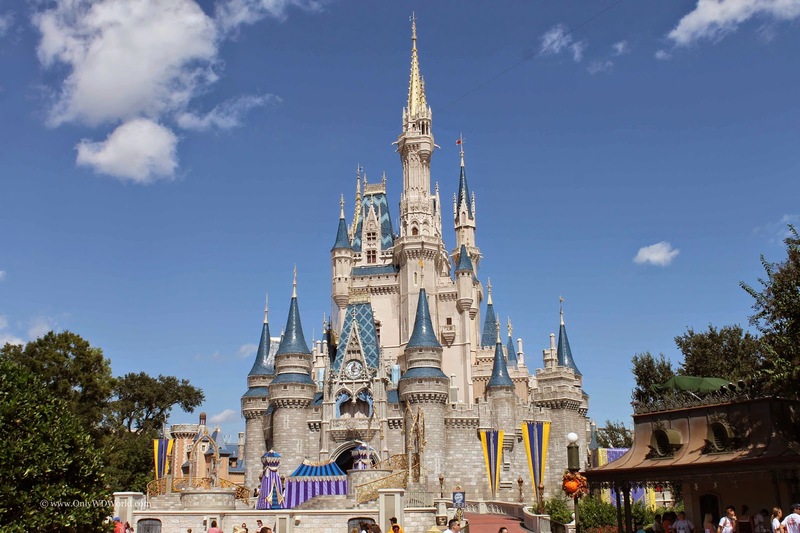 Disney World can be one of the most difficult vacations to plan and book if you are not familiar and current with all the latest developments and programs that they have. If you use a travel agent, please choose one that specializes in Disney Travel. There are many great ones out there. In addition to finding a Travel Agency that specializes in Disney Travel, make sure that your Travel Agent knows Disney World. Ask them how many times they have visited Disney World and how recently. Ask them how many different Disney Resorts that they have stayed in. Ask them how many different Disney World Restaurants they have eaten in. You will find there is a big difference between reading about a Resort or Restaurant on-line or in a brochure versus actually staying there or eating there in person. Again there are many great Travel Agents that can pass that hurdle and they are the ones that you want on your side helping you plan your next vacation. Here is one of the age old dilemmas, do I book my Disney Trip now or do I wait to see if a better offer comes along? A good Disney Specialized Travel Agent will proactively look for better promotions even after you book your vacation and either re-book your vacation at the better rate or ask your permission to do so, even though that means that their commission will be lower as a result. Why would they do that? They value your business and hope that you will return to them for booking and planning a future vacation. You can go through the same process yourself if you book directly through Disney, but do not expect them to call you to make you aware that you could save money by re-booking your trip. Please note that in either case, the timing has to fall within Disney Travel guidelines, which at the time of this article means that any Disney World trip more than 45 days prior to arrival can be re-booked at a better rate if similar rooms are available for that promotion. A good travel agent should be your partner from the moment you first contact them, right through the end of your vacation. If you have questions, or need to make changes they should be there to help you. This is where a Disney Specialized Travel Agent can really shine. They have the time to listen to you explain your situation and get to know you. They can provide multiple options that you can discuss and then work towards a solution that works for you. This is not really an option if you want to book directly. Then you are kind of let on your own to come up with the answers. If you know exactly what you want you can make the choice to book directly with Disney and still have a great vacation. What you lose in the process is not having that person who will proactively contact you to make you aware of new attractions, shows, promotions, or options. You also won't have someone working with you to help you save money or fit your trips to your particular budget. How Do I Find A Great Disney Specialized Travel Agent? There are several ways to find a great Disney Specialized Travel Agent. One way is to talk to your friends and family to get recommendations. Another way is to search on the internet. As I mentioned earlier there are several great Travel Agencies that can help you make your Disney Vacation a magical hassle free experience. Only WDWorld Travel is a full service travel agency that specializes in Disney Travel. Michelle Collins, owner/agent, has vacationed at the Walt Disney World Resort nearly 50 times and stayed in nearly all of the on-site resorts, eaten in nearly all of the on-site restaurants, used the Disney Dining Plans, taken all forms of Disney transportation, including Disney's Magical Express, and traveled with kids, large family groups, and done adult only vacations personally. This personal experience, along with a sincere love of Disney World allows her to work hard to ensure that all of her clients have their best Disney Vacation ever! when then book with her. Remember that getting a quote from Only WDWorld Travel is always FREE with no hidden fees! 0 comments to "Disney World Vacation: Use Travel Agent Or Book The Trip Yourself?"